Geek Deal of the Day!!! 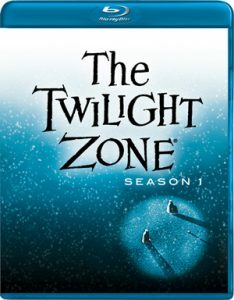 Twilight Zone Blurays 54% Off!!!! I’m so happy they put these on sale finally. I own the whole definitive collection on DVD only, but I have yet to actually watch or own any of the Twilight Zone episodes on bluray. This show was and still is the best television series to ever be on the air. 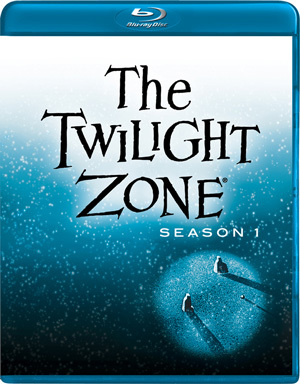 So right now and while supplies last last, the first three seasons of The original Twilight Zone series are on sale for 54% off. The usually go for $100.00 but right now they are going for $46.49!!! That is one hell of a deal. Stock up early for holiday presents, birthdays, or treat yourself. 19 New Audio Commentaries, featuring The Twilight Zone Companion author Marc Scott Zicree, author and film historian Gary Gerani (Fantastic Television), author and music historian Steven C. Smith (A Heart at Fire’s Center: The Life and Music of Bernard Herrmann), music historians John Morgan and William T. Stromberg, writer/producer David Simkins (Lois & Clark, Dark Angel), writer Mark Fergus (Children of Men, Iron Man), actor William Reynolds and director Ted Post. Interviews with actors Dana Dillaway, Suzanne Lloyd, Beverly Garland and Ron Masak. Vintage audio interview with Director of Photography George T. Clemens. Audio Commentaries by actors Earl Holliman, Martin Landau, Rod Taylor, Martin Milner, Kevin McCarthy, and CBS executive William Self. Vintage Audio Recollections with actors Burgess Meredith and Anne Francis, directors Douglas Heyes and Richard L. Bare, producer Buck Houghton and writer Richard Matheson. Rod Serling Audio Lectures from Sherwood Oaks College. Rod Serling Promos for “Next Week’s” Show. Original Unaired Pilot Version of “Where is Everybody?” with Rod Serling’s Network Pitch. 25 New Audio Commentaries, featuring The Twilight Zone Companion author Marc Scott Zicree, author/film historian Gary Gerani, author/music historian Steven C. Smith, author/film & TV historian, Martin Grams Jr., writer/music historian Jon Burlingame, writer Len Wein, writer/producer Joseph Dougherty, writer/producer Matthew Weiner, writer/director Michael Nankin, writer Marv Wolfman, authors/historians Scott Skelton and Jim Benson and writer George Clayton Johnson. 15 Radio Dramas featuring Daniel J. Travanti, Jim Caviezel, Jason Alexander, Ed Begley Jr., Fred Willard, Jane Seymour, Michael York, Chris McDonald, Henry Rollins, Stan Freberg and others! 22 Isolated Music Scores featuring the legendary Bernard Herrmann, Jerry Goldsmith, Fred Steiner and others! Sponsor Billboards, – Rod Serling Promos for “Next Week’s” Show, and much more! Geek Deal Of The Day!!! The Complete ‘LOST’ Series Collector’s Set on Bluray!!! Under $100!!! Cheapest ‘LOST’ Ever!!! Geek Deal of the Day!!! Firefly Complete Series 74% Off!!! Only $23.49!!! Podcast #28: Best TV Series 90′s – Present Bracket – 2nd Round Elimination!! This entry was posted on Monday, May 9th, 2011 at 12:50 pm	and is filed under Film, News. You can follow any responses to this entry through the RSS 2.0 feed. You can skip to the end and leave a response. Pinging is currently not allowed. Awesome midnight marathon material. I’ll get the popcorn ready!